School starts on Tuesday, August 14, 2018. We are now accepting new student referral forms. Please click on the "About Us" Tab, then click on "How to Enroll", for more information. We are pleased to announce that Ms. Simone Charles will serve as the new principal of Walt Whitman High School. Former principal Claudia Middleton is now the principal at University High School. The new secured pedestrian gate is now up and running. 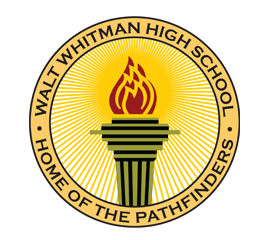 The new security feature of the pedestrian gate will help ensure the safety of the students, staff, and visitors of Walt Whitman High School. Make sure to arrive at school prior to the 7:55 a.m. bell. Sign-in at the main office and collect your class schedule. 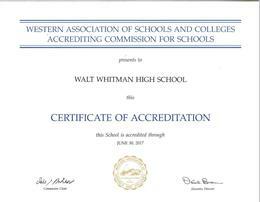 The Whitman Team is proud of your success.